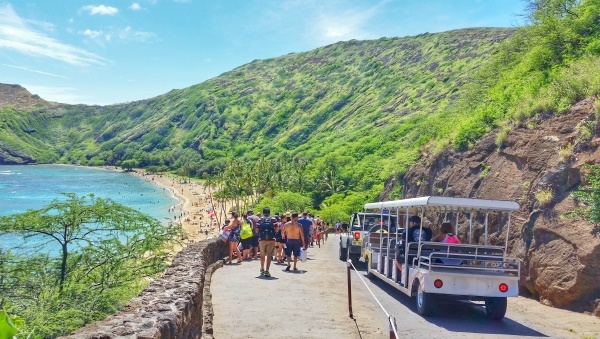 This is a list of frequently asked questions regarding prices at Hanauma Bay, one of the top snorkeling destinations in Hawaii. Keep in mind that prices can change at any time! The cost for parking is $1. 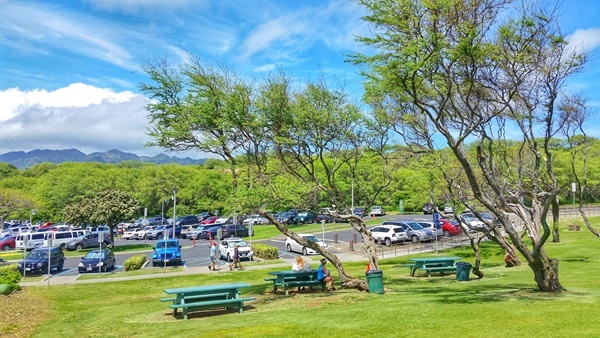 The parking lot is known to get full, in which case you can give a try to another parking lot near Hanauma Bay, or you can do some activities nearby Hanauma Bay and return later to see if you can park! What is the admission price for visitors? The entrance fee is $7.50 per person. There is a special kama’aina rate, and admission is FREE for locals. There is a special military rate, and admission is FREE for active duty U.S. military personnel. What is the cost to rent snorkeling gear? You can rent snorkeling gear at Hanauama Bay as a package with the mask, snorkel, and fins for $20. You can also rent a full-face snorkeling mask as a part of a package with fins for $40. Without a package, you can rent a mask and snorkel set ($12-15), fins ($9), and a new mouthpiece ($4). 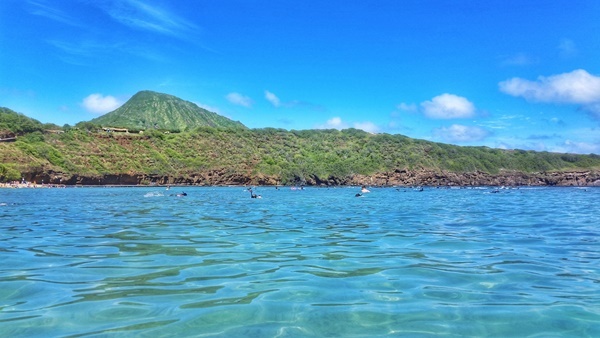 If you’re considering renting snorkeling gear at Hanauma Bay, have a look at Hanauma Bay snorkeling rental. How much does it cost to rent lockers? There are also lockers available at Hanauma Bay. Small lockers are $8, and large lockers are $10. What is the price of the shuttle to get down to the bay? After you pay for your admission ticket and watch the mandatory video about marine conservation and protecting the reefs at Hanauma Bay, it’s time to do what you came for! 😉 The parking lot and ticket office is located at the top of the hill, so you go down to get to the beach. You can get there by walking about 5 minutes down hill (FREE! ), or there is also a tram service so you can also take the shuttle. It’s a short ride, maybe a couple of minutes. The shuttle ride down costs $1. If you’re a bit exhausted from a full day of snorkeling, you don’t have to dread walking the hill back to the parking lot. 😉 Instead you can take the shuttle back up! The shuttle ride up costs $1.25. Hanauma Bay is on the east side of Oahu!